B & H Engineering, P.C. has performed 2009-2010 condition inspection and rating on 27 SIRTOA bridges, a concrete viaduct culvert, as a prime consultant, for the MTA-NYCT. Under contract CMM-1558, these bridges are carrying the Staten Island rapid transit railroad. The inspection focused on bridge condition, ability to function, safety and maintenance issues. 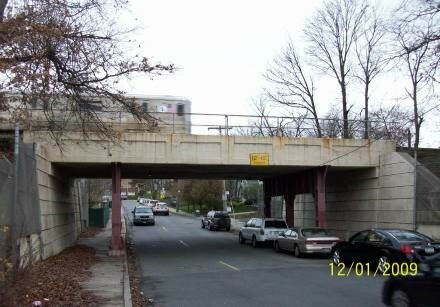 A detailed condition rating of all bridge components was conducted as per NYSDOT specifications and existing inventory was updated. The general inspection included a load rating level I analysis. Load capacity and rating analysis for bridge members. Load rating was performed in accordance with the AREMA manual for Railway Engineering.